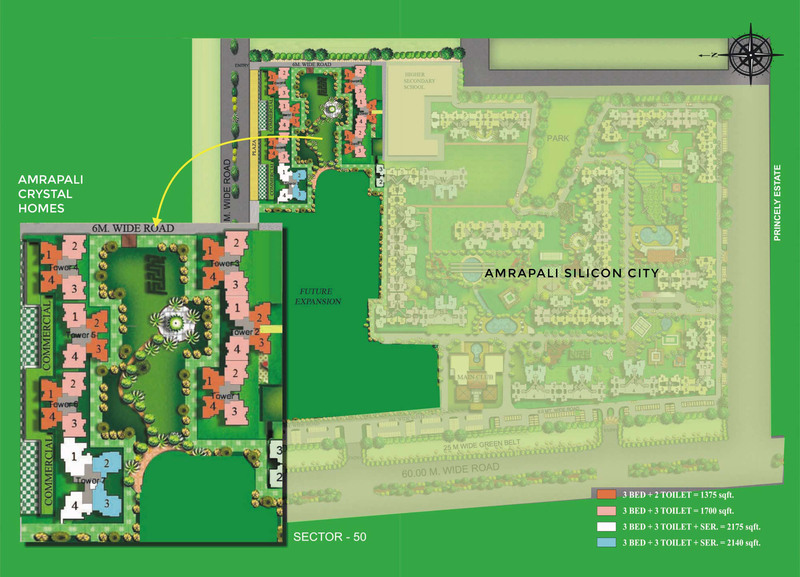 Amrapali Crystal Homes located at Sector 76 of Noida, is part of 43 acres Amrapali Silicon City. 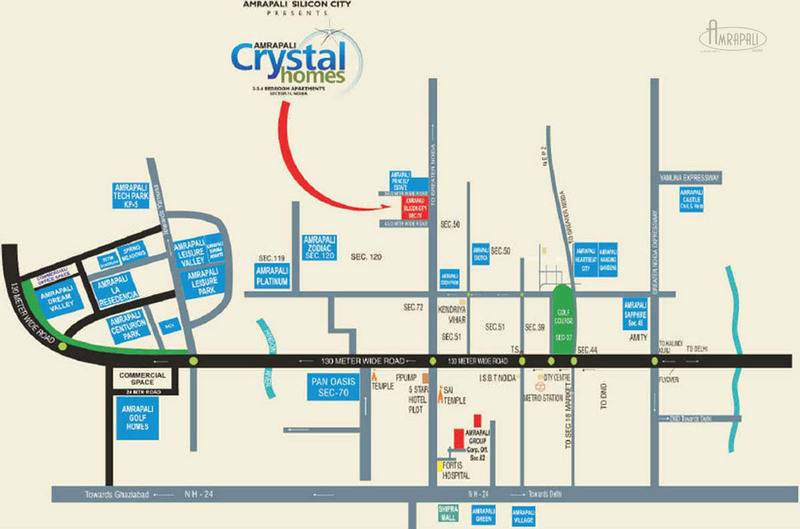 This ultra-modern residential Apartment is a right amalgamation of strategic location, tasteful ambience and enriched features. 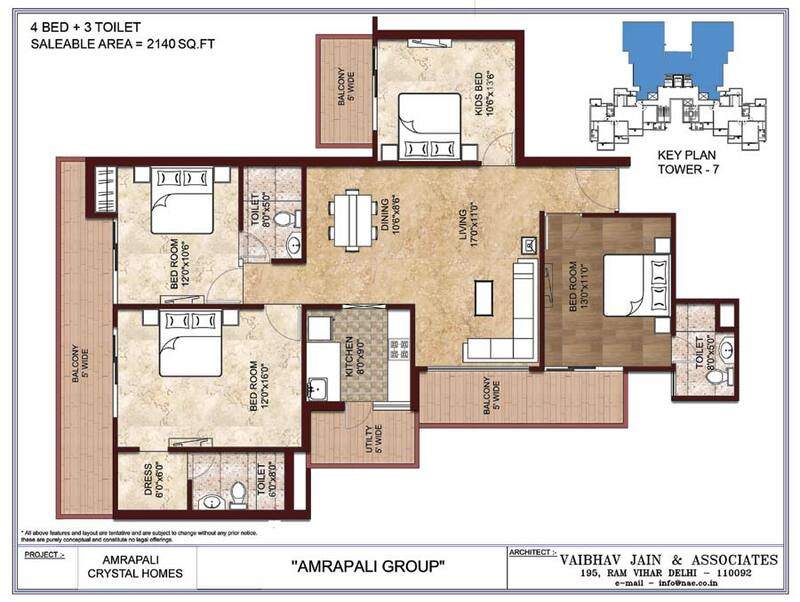 Amrapali Crystal Homes offers 3 and 4 BHK ultra-luxurious residential towers, complete with an elevated landscaped podium, a perfect blend of elegance, nature and architecture with all modern amenities. Live the life you ever wanted by opting for residencies of. 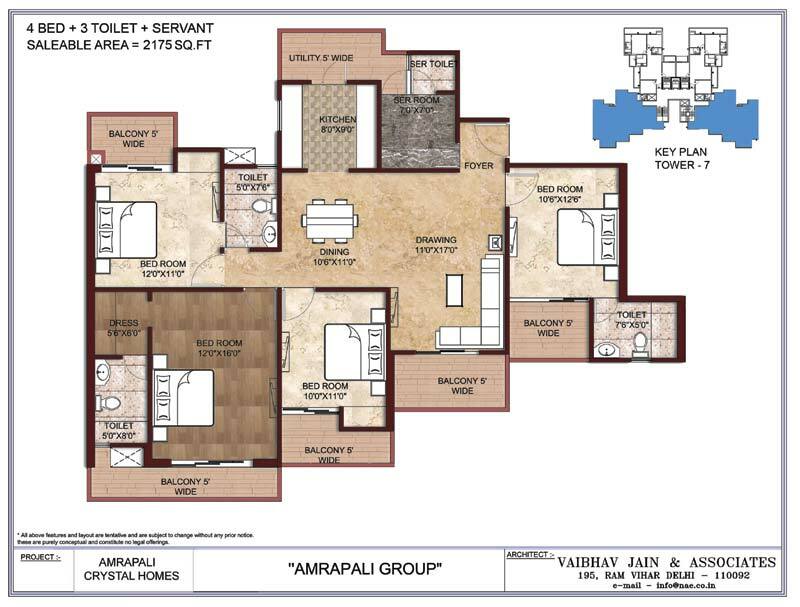 With the blend of all necessary ingredients, these these apartment, graced with all modern amenities, high-end specifications with world class features. 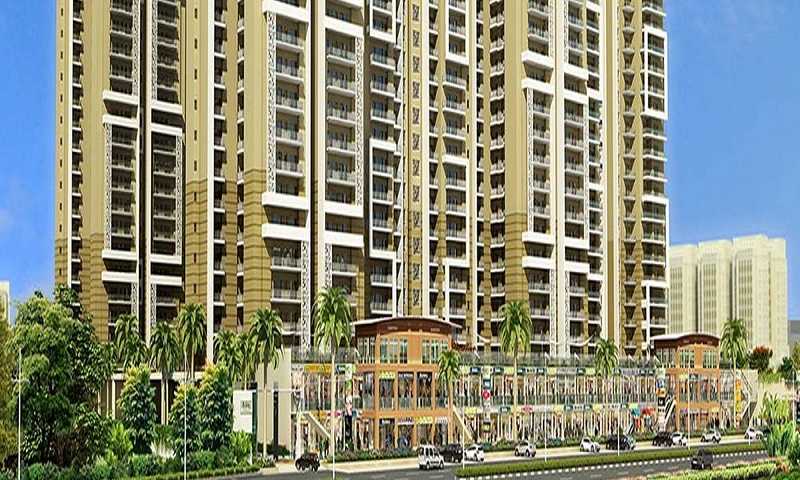 The project also entails a bundle of amenities like clubhouse activities, games, gymnasium, swimming pool, landscaped gardens, jogging track and many more. Get on the track of fun life by utilizing the multipurpose hall here. 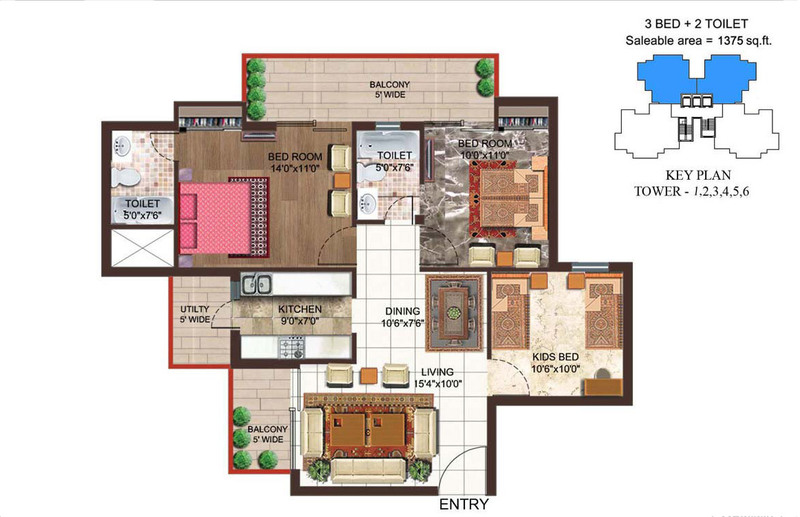 Above all this, people can also feel safe in this secured gated community with round the clock security systems upholding some good moments of life. Making an investment in this project will make people to earn good profits in the coming days ahead due to the continuously rising property prices. 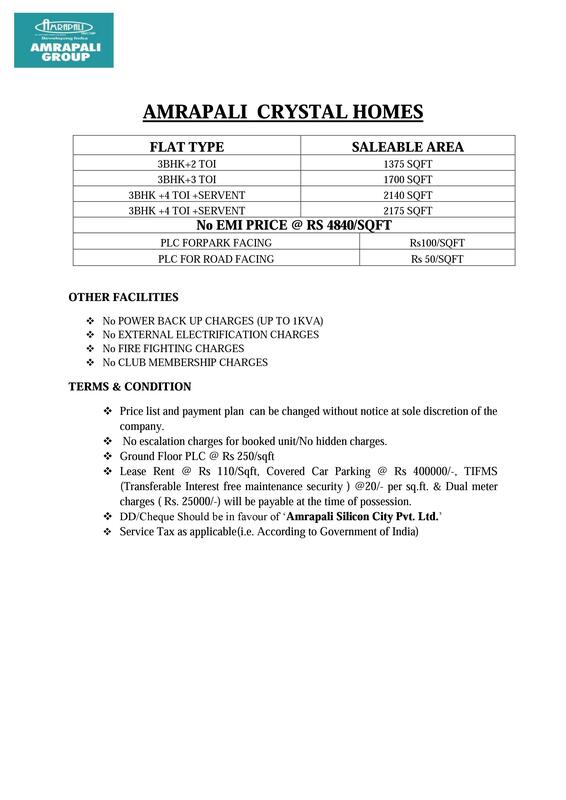 3 Bed + 2 Toilet - Saleable Area: 1375 Sq. Ft.
3 Bed + 3 Toilet - Saleable Area: 1700 Sq. Ft.
4 Bed + 3 Toilet - Saleable Area: 2140 Sq. 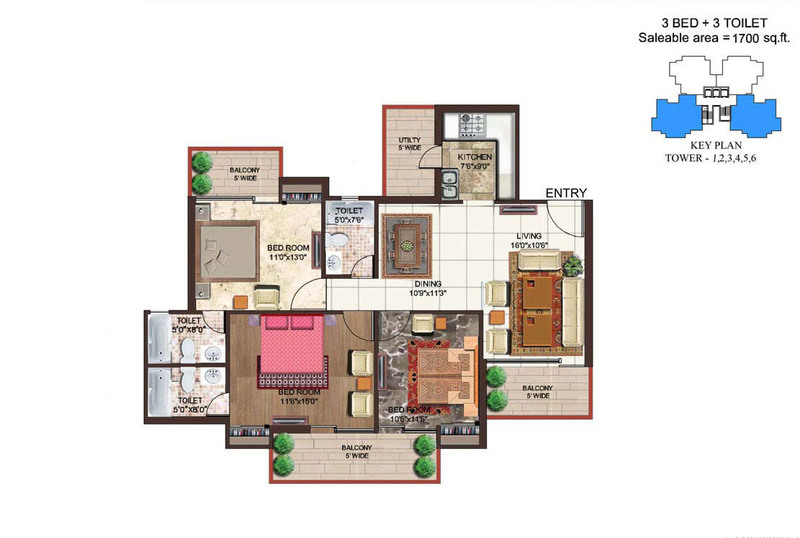 Ft.
4 Bed + 3 Toilet + Servant - Saleable Area: 2175 Sq. Ft.